07:45 am Pick up at Elegant Travel. Depart for My Tho. Take the boat ride through the Bao Dinh natural canal; view the stilt houses and the fruit plantation along the river sides. Visit the My Tho wholesale fruit market. Proceed to the Tortoise Island. Lunch served in the heart of the orchard. Enjoy the nice boat ride through the Tan Thach natural canal in Ben Tre, cruise under the shadow of the water coconut trees. Visit the family where you can experience the agricultural lifestyle. Trekking through the fruit plantation in Thoi Son Island, enjoy the rowing boat ride along the creeks before returning to My Tho by motorized boat. Proceed to Can Tho via Vinh Long. 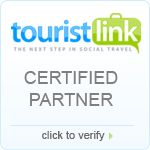 Option 1 : Stay in a hotel in Can Tho Check into your hotel on arrival at Can Tho. Free to explore the city on your own in the afternoon. You can also visit a village, meet the local people, have dinner with them and enjoy their music. Overnight at hotel in Can Tho. After breakfast, take the morning boat trip to visit the Cai Rang floating market with the busy sense right at the time. Keep cruising through the small channels system, visit the rice noodles making village. Experience the “monkey Bridge “in the Delta. Break time for lunch. Return to Ho chi minh city .